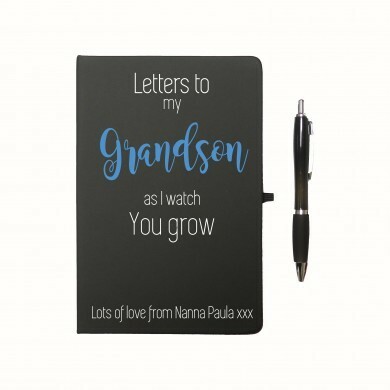 Letter writing is now a thing of the past with all the technology that’s around these days, so with this in mind we created this Personalised As I Watch You Grow Notebook & Pen to get you back on track. 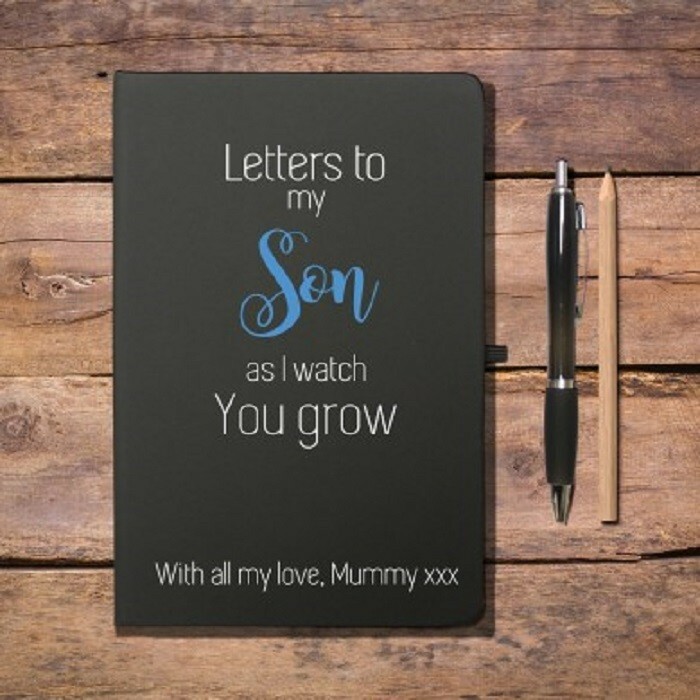 A wonderful way to create heartfelt letters for a son or daughter from each milestone in their life, starting from the day they were born. 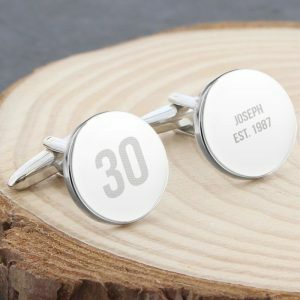 You could then continue with a first steps letter and all the bumps along the way, to their first day at school and how brave they were. 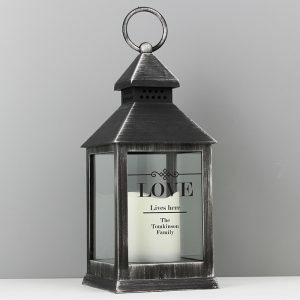 Your letter writing can carry on through each stage of their life right up to the time you want to present the notebook to them. 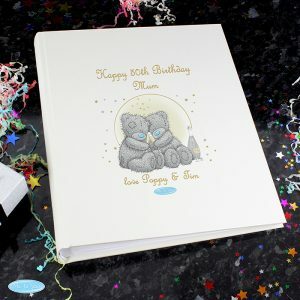 The notebook allows you to keep all your letters in one place, and is a book they will cherish for life. 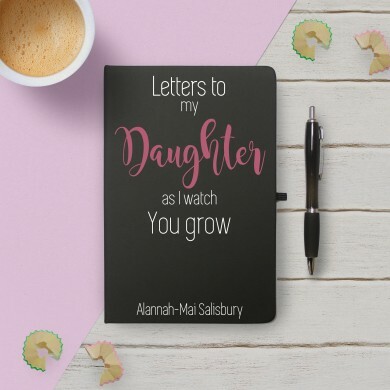 This stylish black notebook as a soft feel to the cover, and features approximately 80 lined pages inside so there’s plenty of room for all those messages! We supply the notebook with a matching contour ball point pen, and it’s a thoughtful gift for any girl or boy to receive on their Birthday. 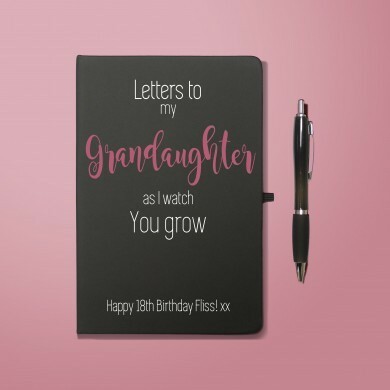 A notebook that’s not only perfect for parents but it’s great for grandparents too! 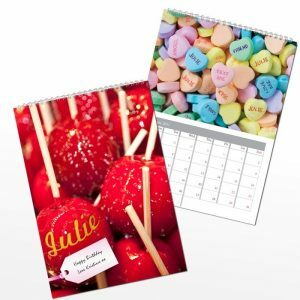 210 x 140 x 15mm – A5 size. Contains approx 80 lined pages.